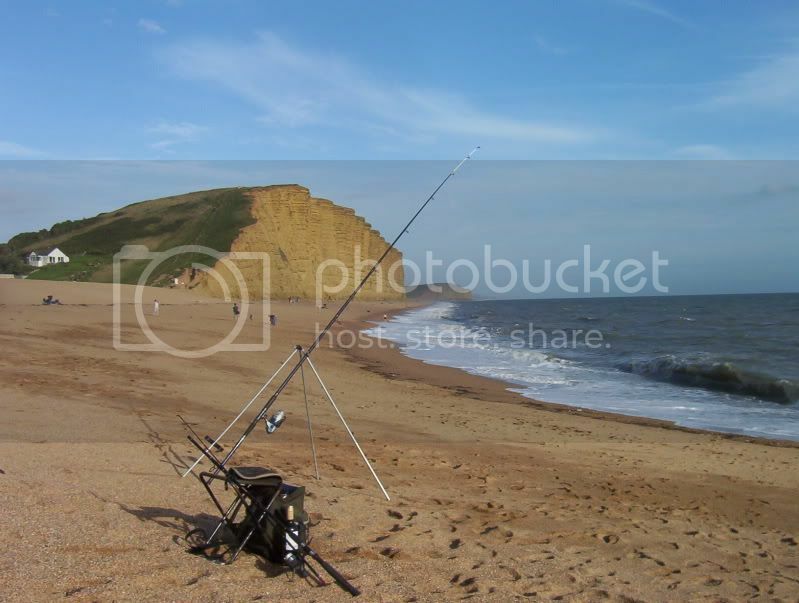 Best tide of the year by the looks of it, any downsizers fancy fishing West Bay. east beach with me ? Can't promise to be sober though. I have a prior engagement I'm afraid. Have a good birthday though. Have to catch mind, as the freezer is devoid of fish & i'm skint. Didn't catch but had a pleasant evening. Crabs were stripping the bait as soon as it hit the bottom on the beach, so tried off the bottom in the harbour, was getting good bites just after dark, turned out to be big fat eels, can't fish for them anymore so to avoid temptation ( and a big fine !) I went back to the caravan so see captain morgan. Not all was lost though, picked a good bag of samphire & some amethyst deceivers on the way back. That's a good cliff. Where's that? There's a clue in the thread's title. Thats not a good cliff, if you knew anything about geology (sorry, not meaning to sound rude or being condecending there )You wouldn't go near it. Its the top of an eroded anticline & has so many faults in it that I wouldn't go near it. The next big bit of it to go will be the big chunk in the foreground of the pic. I won't fish under it on account of the huge boulders that fall off it. I've spoken to anglers that do & they say the rabits hit the beach first, followed by the jack russel that was chasing them. One reported a sheep hitting the beach with a big thud, it lay there for a few minutes, got up, shook itself & then walked off down the beach! Not bad from 300 feet. I won't go near cliffs fullstop. But it still looks good. Hey Zigs, long time no speak. Sorry, only just seen your reply, you got pm mate.